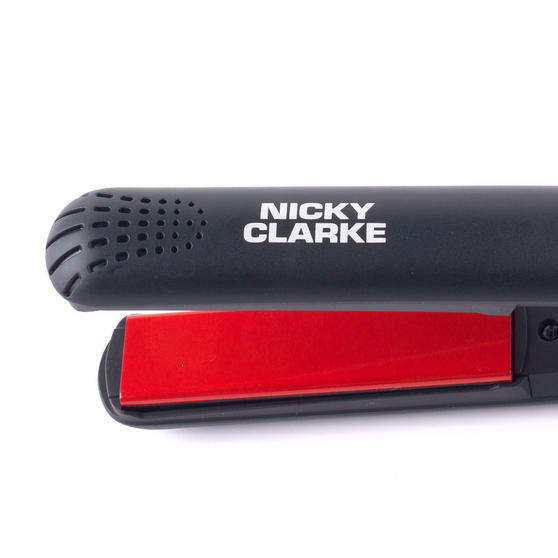 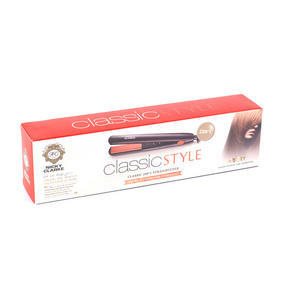 Glide through hair for gorgeous shine and instant straightening with the Nicky Clarke classic straightener. Heating up to 200° in rapid speed, the straightener is ready to use in just seconds. Tourmaline technology locks in moisture to provide perfect silky smooth hair with ceramic finished plates for easy gliding through any hair type. 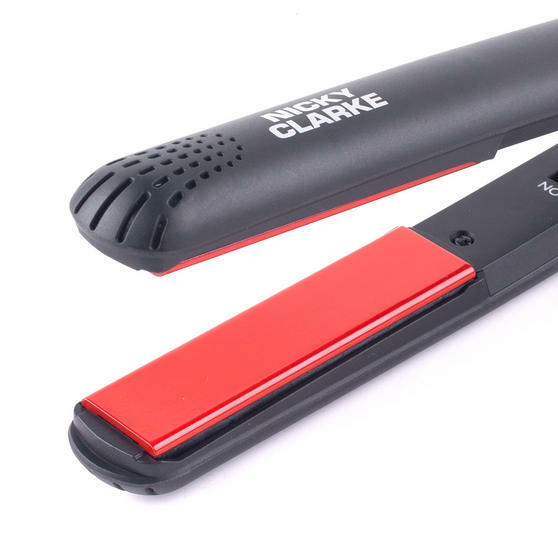 The straightener has even heat distribution and a two metre cord so your range of motion will not be disrupted ensuring you will never miss any hairs. Get beautifully straight hair without the hassle with the fantastic Nicky Clarke straightener which heats up in seconds. Featuring tourmaline technology to prevent your hair becoming dry by locking in moisture to leave your hair silky smooth after use. 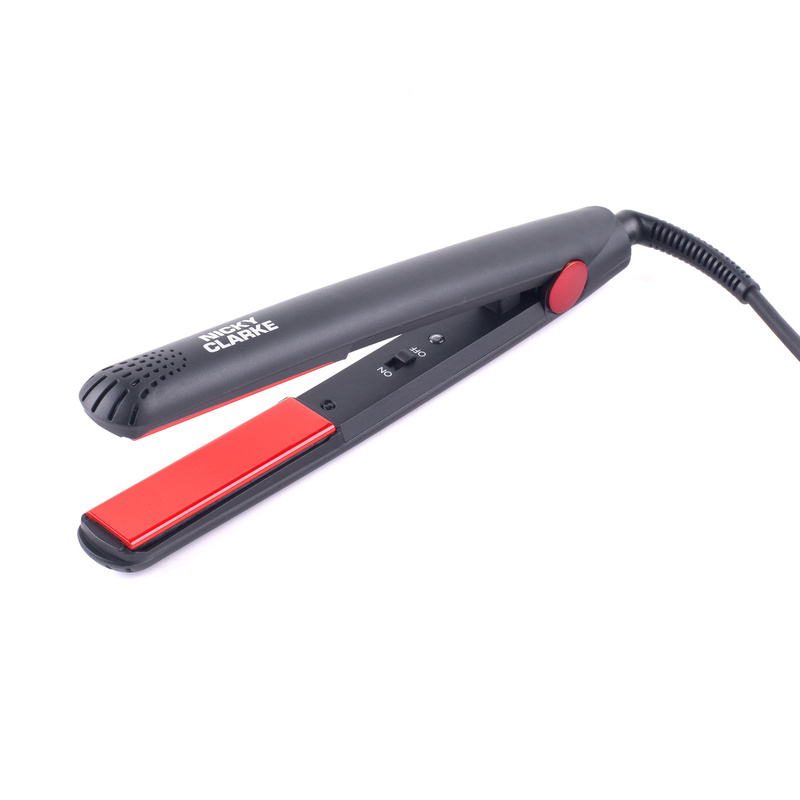 The straightener heats up to 200° in seconds and with a convenient 2 metre cord you can style your hair without restriction. Featuring ceramic plates for easy gliding, the brilliant straightener will is wonderfully effective on any hair type. 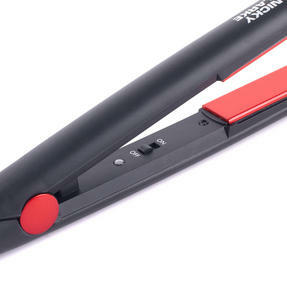 Incredibly easy to use with an on/off switch and an LED power indicator to make it clear whether they are switched on or off.